Dear Mr. XXXXXX (PR GUY), MY NAME IS DEBBIE! Oh Yeah! Back on the my soap box again! I love trying new products! I love learning new things! I love Reading! I love the earth friendly news! I love going to new places and meeting new people! I am not one of the big bloggers, but you should still have some respect for me and my readers to treat me responsibly if you want me to represent your product or ideas. I work with some great people who, no matter how big or small their company or event is, they treat me with respect by using my name. The day I was born I got this name! Grown accustomed to it and shared it with the world. My name is as important to me as your product is to you. I appreciate this fact when you pitch your product to me. As a blogger, I love getting pitches and working with new companies. With this in mind I want to share some facts with you, Mr. PR. Guy. * Take a minute and check out the blog you are contacting. You do not have to read EVERY post but at least read enough to see if this blog is right for you and if your product is right for this blog. * When writing your pitch to a blog owner, do not come across that I (the blog owner) should feel privileged to be asked to do a review for you( I usually do feel privileged though). * The most important to me is the fact you should use my name when you present a pitch to me. I would do the same if I were to pitch my blog to you. Here is a link to a great write-up by another blogger. Kind of gives you an idea what kind of pitches we get and how frustrating they can be! To the author of the recent pitch I received… I have turned down your offer twice already and you really got me miffed over starting your email out with ‘Dear XXXXXX’. Even if I had wanted to review your software, you lost me before you even began! Now when I replied to you that I was not interested and that you should rethink your contact procedures with bloggers… you had the audacity to tell me I WAS RUDE! Grow up Mr PR Guy! You are paid to do what you do. I am not. This is MY blog. I have the freedom to write what I want. I cover the great products, people and places that I want. I shall now step down off the soap box! Whose up for a PARTY? Python Printable Party packs is a nice and inexpensive way to go. It is all laid out with all the details and pages you need to enjoy a fun themed party. I checked out Pirate Party Pack . Lots of fun for all ages including adults! All of Python Printable Themed game packs are easy to use and can be downloaded and printed in your own home. There are no restrictions or time limits. You can keep these games forever and reuse them on other occasions, so games that might not be useful now may come in handy later! 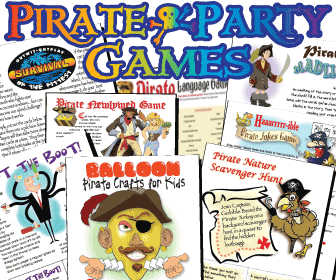 Python Party Games is giving one Pirate Party Pack to one of my Readers! MANDATORY>>Visit their Website then come back here and leave me a comment what other gamepacks interest you. 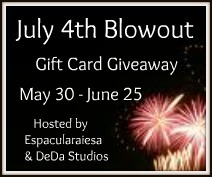 If you want extra entries you can do the following and leave a comment for each one. I received one or more of the products mentioned above for free using Tomoson.com. Regardless, I only recommend products or services I use personally and believe will be good for my readers. I am disclosing this in accordance with the Federal Trade Commissions 16 CFR, Part 255 Guides Concerning the Use of Endorsements and Testimonials in Advertising. Tomoson Product”>http://www.tomoson.com”>Product review & giveaway Disclosure.